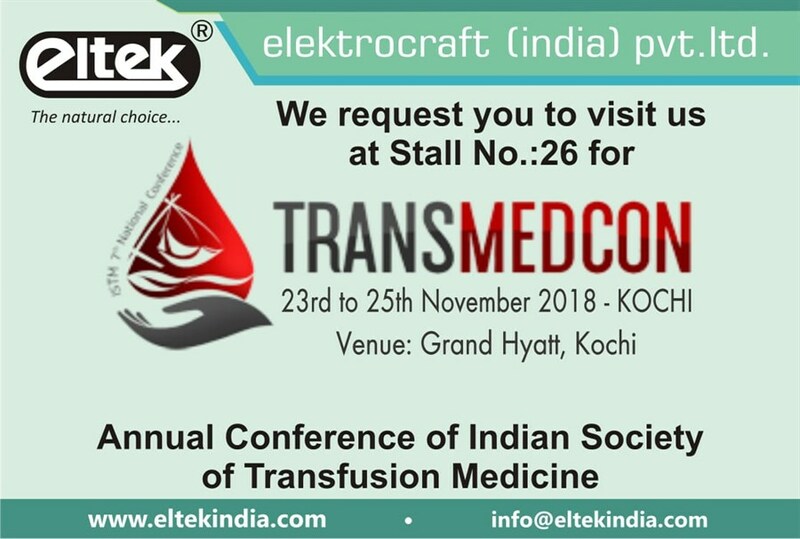 Eltek Blood Collection Monitor is specially designed for homogenous mixing of blood and Anticoagulant without clot formation of blood tells during collection of blood from the donor. 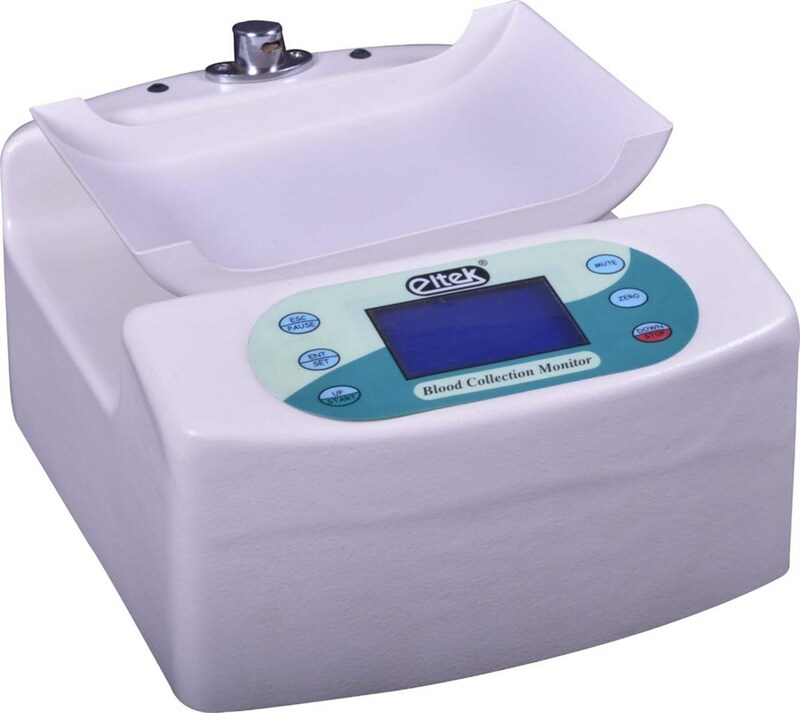 It has an Audio-Visual alarm function to notify Low/High flow and completion of donation. Battery back-up (Model ECM- 02) is an ideal choice for outdoor camps. Micro controller based LCD graphic display. Soft button for easy operation. The equipment is calibrated with the help Of master weighing Set, which is certified for its accuracy by Electronics Regional Test Laboratory (ERTL-Mumbai).